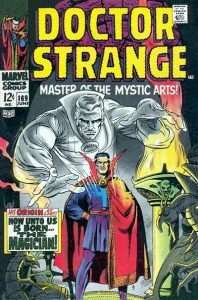 This week we feature one of my favourite runs of Doctor Strange, his first series in his own title, following a lengthy split run in Strange Tales (#110-168). I have always liked this run of fifteen books even though it ends with an abrupt and unexpected cancellation of the series. 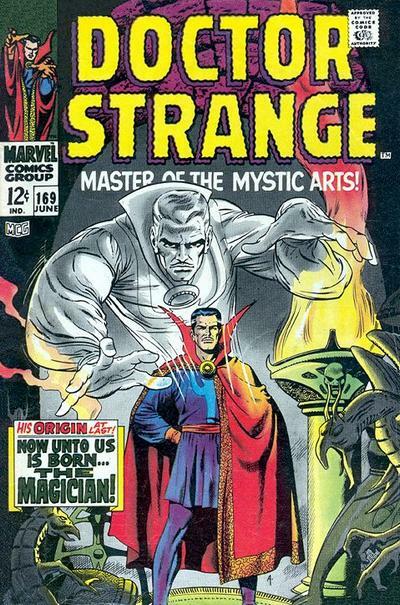 Doctor Strange made his first appearance in comics in the now very expensive pages of Strange Tales #110. 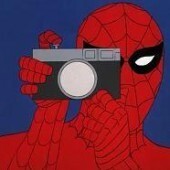 I know artist Steve Ditko had a more famous part in the creation in the Amazing Spider-Man, but for me, Doctor Strange and his mystical world of multiple dimensions and monsters were where Ditko fit the best as an artist. When Ditko left the book after Strange Tales #146, the book went through a series of artists before settling in with genial Gene Colan for most of this run. What I like most about this run of books is you can still pick-up really nice copies at a comic shop or con in raw condition. Outside of the first issue #169, most of these books probably don’t get slabbed unless they are in exceptional condition or the person getting the slabbing done has overestimated the grade of the book. We’ll look at all fifteen books and highlight my own personal favourites. Let’s get to the books. Doctor Strange finally gets his own book! 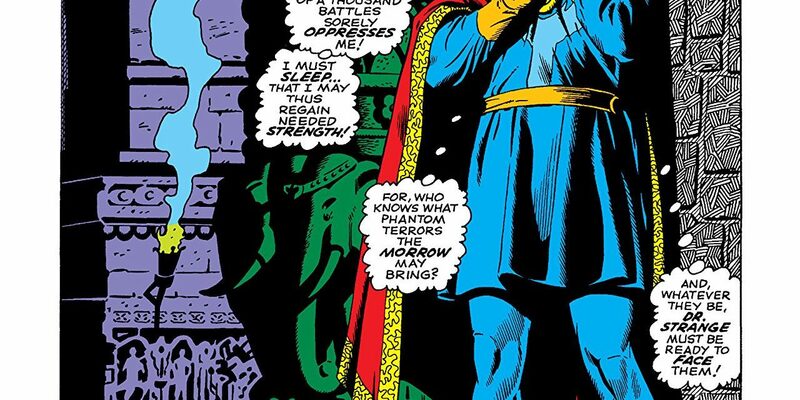 A very good expanded re-telling of Doctor Strange’s origin is told through his own dreams. All of the artwork (cover, interior pencils and inking) in this book is done by long-time comic veteran Dan Adkins. 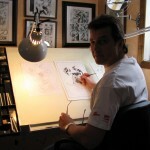 I think most people think of Dan as an inker of other famous artists like Jack Kirby and Wally Wood. He shows here he was a complete and perhaps underrated artist. 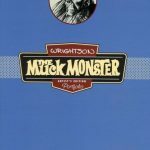 Like many in the comic industry, he was never a big star, but seemed to find work everywhere and had a career that lasted over forty years. This book really languished for many years in the back-issue market until the movies came out. It was certainly a long underappreciated book before that. Worth owning in any grade. 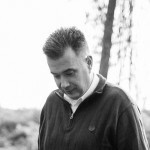 To Dream – Perchance to Die! 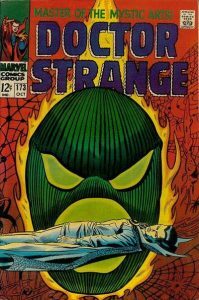 This issue continues from the end of issue #169 with the Ancient One fast asleep and locked in the villain Nightmare’s world. Doctor Strange battles through a series of traps to free the Ancient One and repel Nightmare. We find out the Ancient One arranged the test himself to help lift Doctor Strange’s confidence. Nightmare is one of Doctor Strange’s most used and I would say terrifying villains. The guy always gave me the creeps. If he was in the story though – I wanted to read it. Doctor Strange #171- 173 features the return of Doctor Strange’s most powerful foe, the dreaded Dormammu. The battles between Dormammu and Doctor Strange are always intense and seem like one long tightly contested tennis match. A win for Doctor Strange here is surviving to fight another day, while Dormammu works on a new way to destroy him. This storyline is no different. 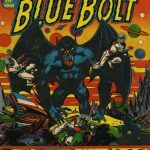 Gene Colan and Tom Palmer have taken over the artistic reins from Dan Adkins in issue #171 and complete the balance of the run (outside of issue #179). This winning combo does some dazzling work here and I like what Colan’s pencils do for Doctor Strange’s look. This cover was my favourite of these three issues and followed in line with the look Marvel was presenting on there covers back then – Big villain images! The new “Blue Vision” costume (as I called it as a kid) makes its first appearance in this issue. I actually really liked this when it was introduced. It didn’t seem to resonate with the Doctor Strange devotee’s though and was abandoned prior to his start in the Defenders. I think it lasted about ten issues in total. The costume was considered at the time to be a bit radical departure and probably should have been a clue the book was struggling in the sales department. This book does have an excellent cover and its black background makes it tough to find in grade. This book separated itself from the pack below the first issue # 169 and is the second most valuable book in the run. It was the only book to rise in value from the 47th to 48th Overstreet price guide. 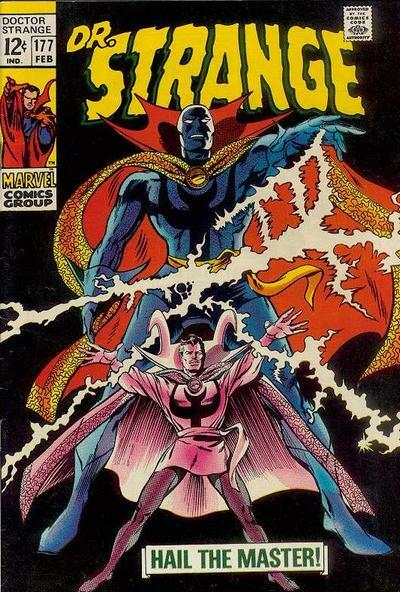 A rather long and protracted battle with Satannish, and the Sons of Satannish is playing out in the pages of Doctor Strange #174 thru #178. The story actually continues and ends in the pages of Avengers #61, in a battle of fire (Surtur) and ice (Ymir). The Black Knight (Dane Whitman) makes a guest appearance in Doctor Strange #178. A second clue the series was struggling came with this book. 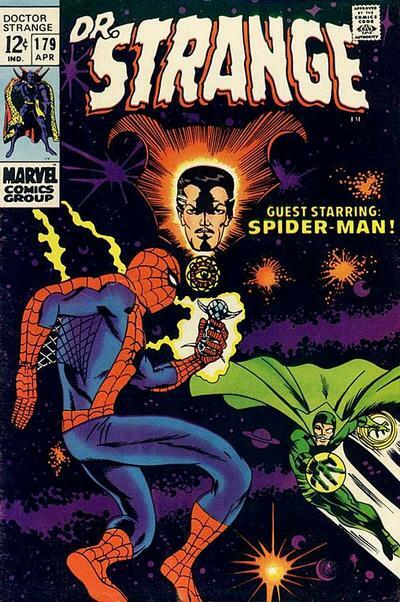 A reprint of the Wonderous world of Doctor Strange the main story featured Amazing Spider-Man Annual #2. 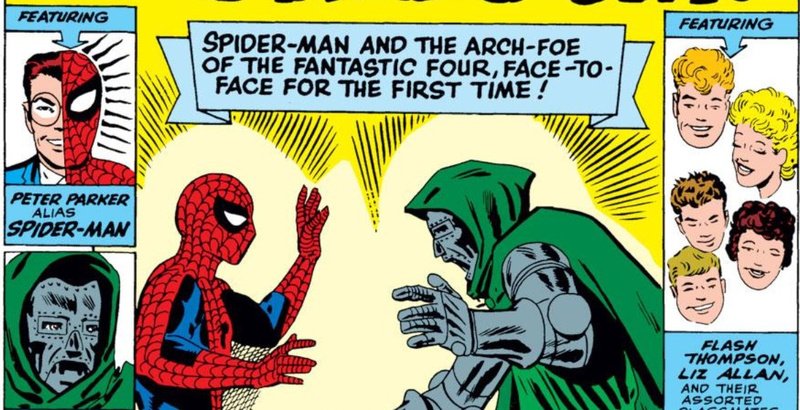 It is a cheaper way to own Steve Ditko’s only story featuring his two most famous creations. The cover is early work by a young Barry Smith. 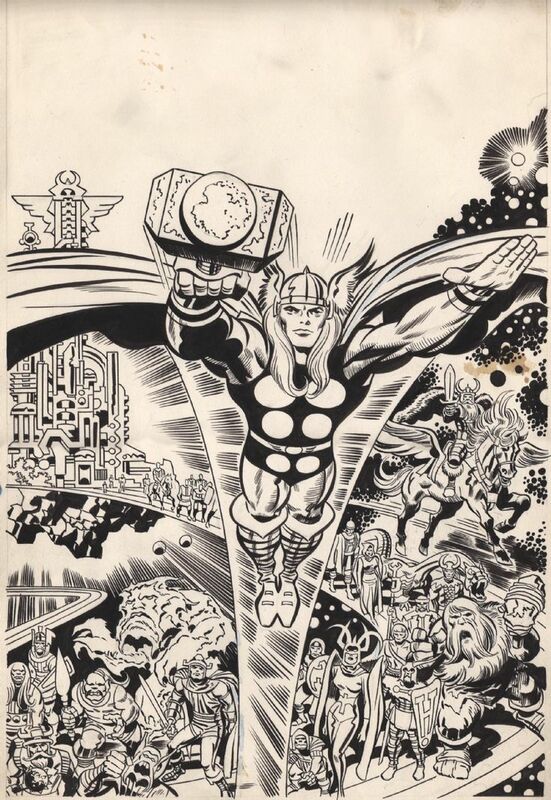 I think back when this came out, many thought it was an unused cover by Ditko. 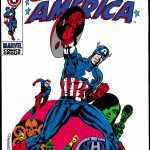 The reason cited for the use of the reprint was Gene Colan was apparently under the weather. 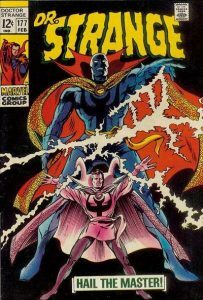 Doctor Strange #180-182 features a group of battles between Nightmare, Eternity, Doctor Strange, and the Juggernaut. Now that is one weird tag-team match. In the end, Doctor Strange assists Eternity in a battle with Nightmare and the Juggernaut. Grateful for the help Eternity creates a second identity for Doctor Strange to use. I remember it being as popular as Daredevil’s Mike Murdock (Matt Murdock’s bogus twin brother) and it didn’t last long. At the end of the book, the Juggernaut was still bouncing around in another dimension, where he had been on and off since X-Men #33. He finally returned to earth full time in Hulk #172 and became a fixture as a big-time baddie for the X-Men and the rest of the Marvel Universe ever since. 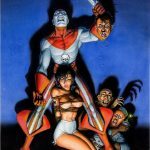 He also appeared in the Deadpool #2 movie. 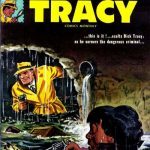 The series ended like a splash of cold water, with an unsatisfying conclusion and a story of the Undying Ones in the next issue #183. 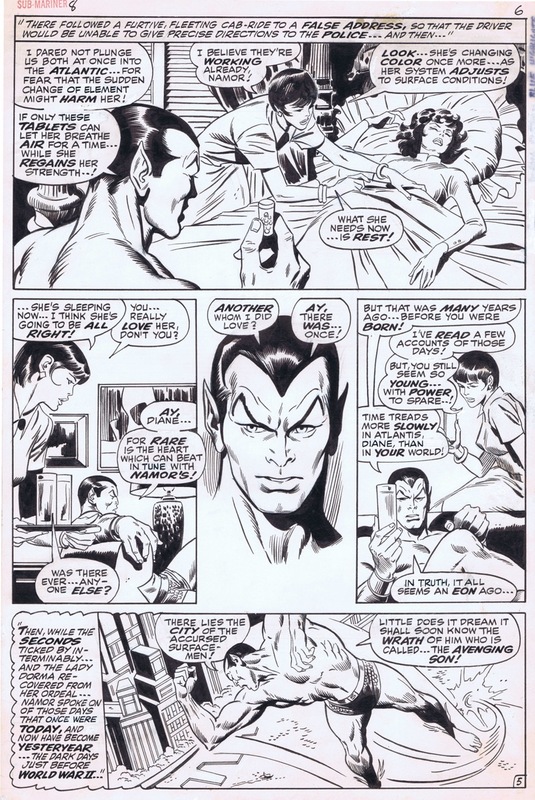 The story did continue in the pages of the Sub-Mariner #22 and Hulk #126 and eventually led to the formation of the Defenders. There is a more detailed account of this in a past Arcs & Runs from December 2017. I knew I should have numbered these posts. 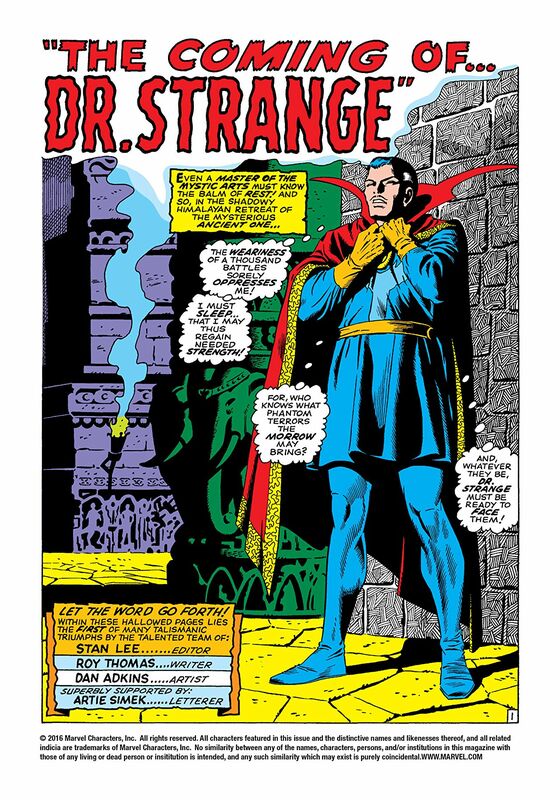 At the time of the cancellation Doctor Strange had built up a solid supporting cast of allies and villains, and an unreal number of spells and incantations. He has never been out of comics too long ever since. The 48th Overstreet price guide values for today’s Arc & Run feature are listed below. It will be interesting to watch the future of Doctor Strange in the Marvel Cinematic Universe going forward. Actor Benedict Cumberbatch has done a great job with the character in his own self-titled movie, and appearances in Avengers #3 and Thor #4. I have a feeling we will see him being a guest-star in movies in the future, following a pattern for the character often used in comics. He is most effectively used in small doses. In the immediate future, I can’t wait for Avengers # 4, the resolution of the Thanos saga, and Doctor Strange’s role in the movie, which I suspect will be crucial. Continued Good Luck filling in the holes in your comic “want” list. Unto us …The Sons of Satanish from #175 cemented the colan/Palmer team in my mind forever.The writing by Roy Thomas matched the mood of the artwork to a T and the cover was just stunning!A masterpiece!